Do you know that eating the right foods can improve your health? An average person eats three times a day with 2 snacks in between. However, most of the food that comes in the diet are just fillers- food for the stomach, to relieve hunger. However, what most people do not realize is that what you eat today can have a great impact in your health. There many healthy foods, those found in the kitchens that are often overlooked, that could boost one’s health. One example is turmeric. Besides the fact that it is a good source of Vit. C and magnesium, it is also a good source of fiber. However, its most notable characteristic is its anti-inflammatory effect. In fact, it is even combined with cauliflower to cure prostate cancer and prevent the further growth of cancer cells. It is being used nowadays to heal gastrointestinal diseases and even for the cure of gallbladder stones. Another food often overlooked for its health benefits is garlic. It is effective in lowering low density lipoprotein, the bad cholesterol. Research shows that it has blood thinning effect, important in hypertension control. Even more important, it is shown to decrease risk of stomach and colon cancer. On the other hand, ginger is also a healthy food. Because it also has anti-anflammatory effects, it can block prostaglandin release known for the development of arthritis and migraine. Salmon is also a food that should be included in one’s diet often. It is considered as one of the best sources of omega-3 fatty acids. This type of fat can lower the risk of heart disease. Beans are also important to have in one’s diet as it is nutritionally packed and good in keeping the blood sugar stable, good for diabetes control. Lemon is also good because it boosts the immune system. Green tea is also good for one’s health as it can increase insulin tolerance and increase the metabolic rate. It is even used by some to lose weight, although researches are still inconclusive. However, what I known is that it contains an antioxidant, epigallocatechin gallate or EGCG, that can prevent lung, breast and prostate cancer. If there are healthy foods for the body, there are also those which have bad effects on one’s health. Some examples are carcinogenic foods such as pickled, salted and fermented foods, especially implicated in stomach cancer. High intake of fat and calorie are also not good as it promotes several types of cancer such as breast and endometrial. Low intake of vegetables and fruits are also implicated in diseased of the gastrointestinal tract. Alcohol can also bring about diseases such as cirrhosis of the liver, hypercholesterolemia and brain dysfunction. Junk foods are also bad for one’s health. Eating healthy foods does not only affect the current status of a person as it also has a bearing in one’s future. Some diseases that are not apparent now may manifest in the future. 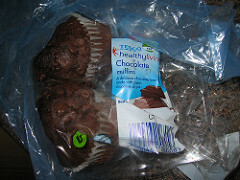 By starting to eat the right kind of food now, healthy living can be obtained. Are you looking for more information regarding healthy foods? Visit http://www.ronloewenstein.com today!